Sylvia Allen is a fiction writer and technical writer, author of Like Light from Stars, a seven-generation family saga set in San Francisco. She grew up in San Francisco’s North Beach, on the edge of Chinatown. As children she and her sister walked and roller-skated all over the city, up and down hills, in and out of dark alleys in every neighborhood, and over fences to cut across private and government property. As an adult Sylvia has spent a large part of her life walking in San Francisco, but has mostly refrained from trespassing. She now lives in St. Johns, Portland, Oregon with her wife, writer and activist Martha Shelley. They have a large backyard farm, with a cornfield, fruit trees, grapevines, berry patches, herb beds, 16 raised vegetable beds, cisterns for irrigation, and chickens. The farm takes time and energy. Sylvia is convinced that it’s worth it. She is active in the Friends of Baltimore Woods, a grassroots land conservancy organization in St. Johns. She spends a lot of time walking in and around her town, appreciating the human capacity for comedy and tragedy. She has two adult children. Sylvia was a red-diaper baby, meaning that her parents were communists, although they never admitted that to their children until shortly before they died. They were also alcoholics, and her older brother was a psychopath. She and her sister Lois believe they both have the happy gene, because they grew up fairly normal and contented anyway. 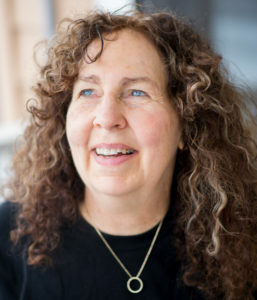 A member of Willamette Writers, Sylvia has published articles on very diverse subjects, including the design of online knowledge bases and how to communicate with people who are in advanced dementia. As a student at the University of California at Santa Cruz, she won the Elizabeth Mignon Puknat Poetry Prize. She has done technical writing for more than 20 years. She worked at Oracle (twice) and for many small and medium-sized software companies and startups, but for the majority of the time she has worked freelance. In addition, at various times in her life she has worked as a cutter in a garment factory, a meeting facilitator, a kite-maker, a motel maid, a user interface designer, a walking tour guide, a suicide prevention counselor and trainer, a headhunter, and a printing press operator for the International Workers of the World.